As-is. New and fully functional with cosmetic imperfections from production, shipping or storage. While supply lasts. All sales final. A handwriting platform for keyboard trays and bi-level desks. Enables easy access to the keyboard while working with papers or books. Prevents reaching and twisting as your papers are placed directly in front of you. 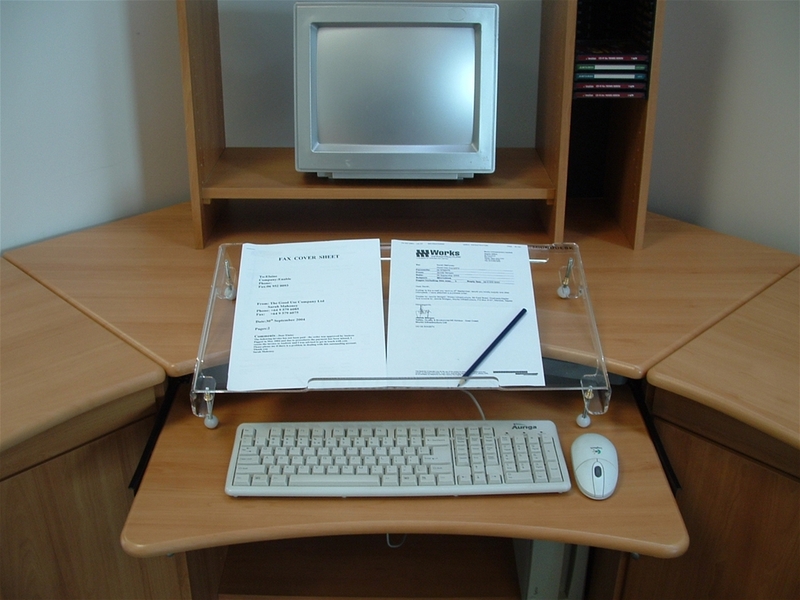 The adjustable sloped writing surface promotes a safe working posture and prevents slumping. Transparent acrylic allows you to see the keyboard easily through the clear surface. Adjustable height and slope for personalized comfort. Sized to fit both standard and ergonomic keyboards. Strong construction allows you to rest your forearms on the surface safely while maximizing your desk space. Suitable for both left and right handed users. Easily lifted and stored when not in use. 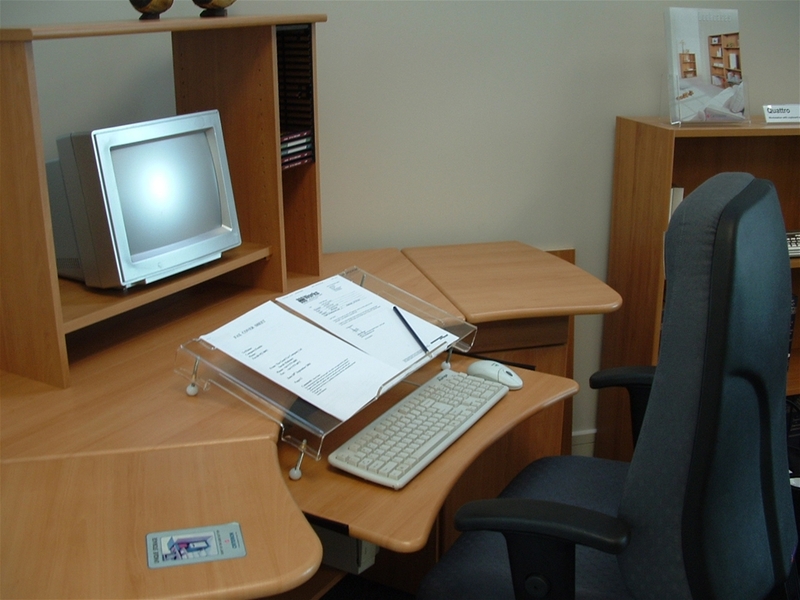 Original Regular MicroDesk®. 23"W x 12"D. 4 pounds. For single-surface desks. 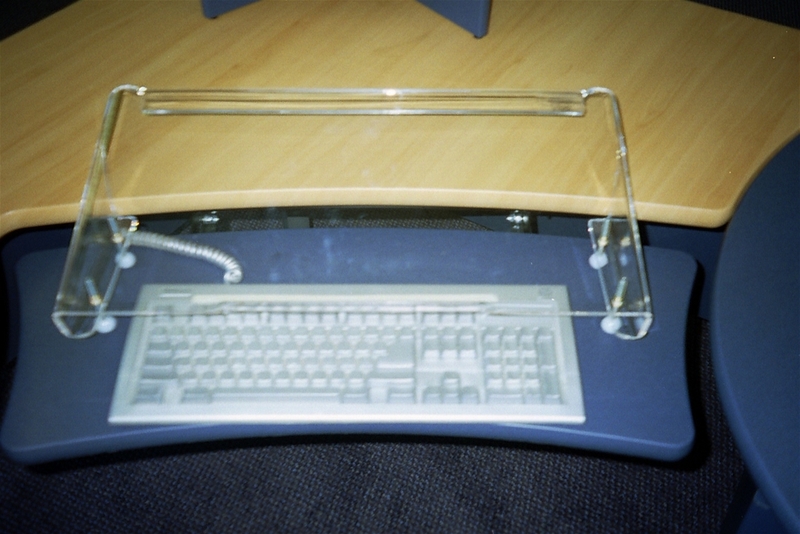 Original Step MicroDesk®. 23"W x 12"D. 4 pounds. For keyboard-tray fitted desks. Keyboard platform must be at least 9½ deep for proper placement of the front edge of the Microdesk over the keyboard "home row." New. Never used. Imperfect. Minor scratches. We cannot ship this item. Customer must pick up from our Novato, CA outlet. Please contact us to schedule your pickup appointment.